A secure home means that you take steps to ensure that you aren’t making yourself a tempting target. Getting the whole family onboard when it comes to taking security seriously is the first step. Here are some of the other steps that you can take that will make your home more secure and keep your loved ones safe. These days, DIY-ers have come up with countless ways to use the ever-popular Mason jar to store just about anything in any room of the home. Mason jars are must-haves for unique decor and storage. The jars are found in various sizes and can be inexpensively purchased in bulk at most grocery or general stores and the beauty is that you don’t have to put too much work into turning them into adorable storage solutions. If you’re looking for some creative or fun ways to use Mason jars for storage around your house, read on for a little motivation and inspiration. Whether you are preparing to buy your first family home or you are planning an upgrading or downsizing experience, you need to find an ideal property that lives up to all of your expectations. While style is understandably a primary concern when you are selecting a new family home, keep in mind that this space affects your quality of life, your daily family living experience, your finances and more. Turning your attention to these factors will help you to locate a lovely home that is practical and functional for your family to live in. Whether you are reviewing your budget to determine if you can afford to build a new home or construction on your new home is already underway, you understandably want to ensure that you can afford your move-in experience. The bulk expense associated with building a home will be finalized by the time you start unloading the moving truck, but there are a few additional expenses that you need to plan for after the construction is completed. Moving to a new home is a very exciting time. When you are looking to move into a new home, there are many important factors that need to be taken into consideration. There are four things that you need to cross off of your house checklist before you are moving in for the first time. Do you have children or grandchildren that spend time in your yard? Do you want to make your home a safe zone to protect the little ones that visit? Securing your house is vital to give you those precious few seconds to catch sneaky kids climbing gates to get away. When you have children, you need to think about the safety of your home. There are outlets that children can play with as well as cabinets that they can open and close, possibly hurting their fingers while they are closing the cabinets. Fortunately, you can follow a few tips on making your home a safe haven for children of all ages with little time and money spent. When searching for a new home, you understandably want to find a house that has the ideal amount of space for everyone to feel comfortable. The cost of the home and its style are also top priorities. If your family is like many others, your busy crew is on-the-go regularly. There are some aspects of your new home that can make a life for a busy family more convenient and even more enjoyable. As you search for the perfect house, keep these helpful tips in mind. Busy families may have one or two working parents, kids with busy schedules and more. It may seem like you are constantly running to work, heading out to tackle a few errands or shuttling the kids to their activities. When your home is conveniently located close to schools, workplaces, and other frequently-visited venues, you can dramatically reduce the amount of time that you spend in the car. 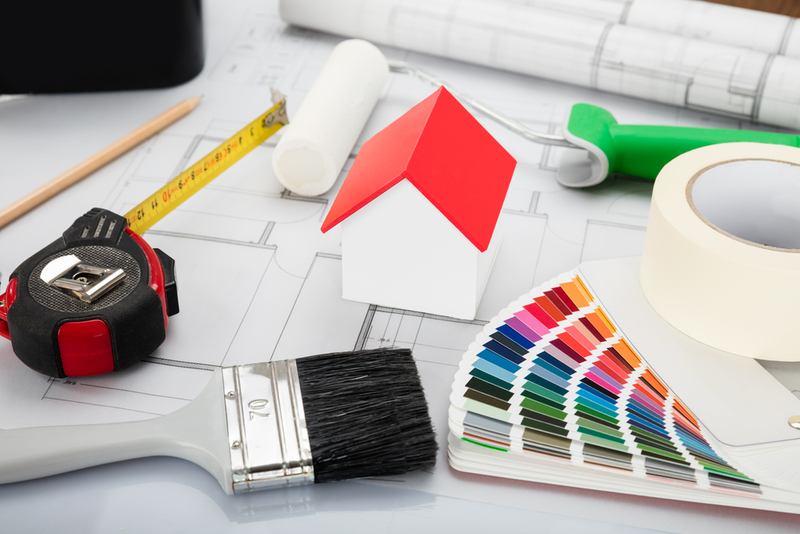 Choosing the right paint color for your first home can be a tedious task. There are hundreds of colors available, and it may be a headache to choose which shade is perfect for your interior and exteriors. On top of that, you have to establish a good color scheme, patterns, and rules. Also, there is a psychological meaning related to each color which you may want to consider. The foundation is what supports the whole house. The complete weight of the house sits upon the foundation and obviously, a house is pretty heavy. So, it is highly imperative that the foundations are super strong. The larger the building, the stronger had to be the foundation. A damage in the foundation can cause a lot of problems and these can quickly escalate if the problem is not given the needed attention. The biggest sign of a failing foundation is the house level sinking and sagging at several spaces. The damages can cost you more and more if you keep ignoring the signs. The moment you spot the signs that you need house leveling, you need to call up professionals and get the job done. The question is how to spot the signs that indicate a need for house leveling. The signs generally hide in plain sight and that is why are easy to miss. So, to make sure that these signs do not go ignores leading to the house rumbling down, I have listed down all these simple signs. This list will help you keep your house standing firm without staggering.